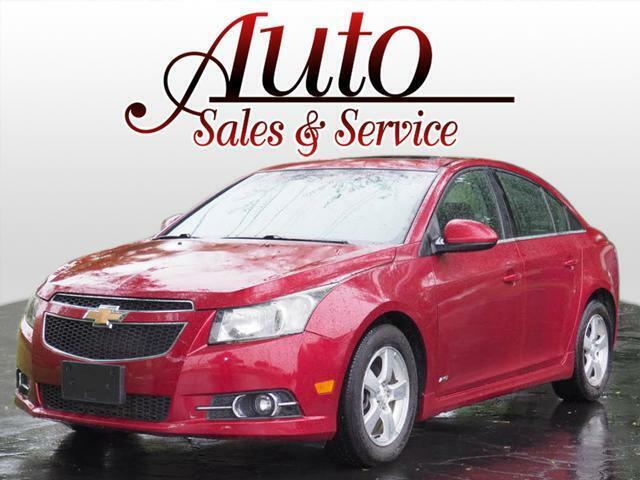 If you're looking for a smooth ride, look no further than this 2012 Chevrolet Cruze LT with a stability control, traction control, anti-lock brakes, dual airbags, side air bag system, and airbag deactivation. This one's available at the low price of $10,995. Don't skimp on safety. Rest easy with a 5 out of 5 star crash test rating. It has the best mileage with 26 MPG in the city and 38 MPG on the highway. Exhibiting a suave red exterior and a jet black interior, this vehicle won't be on the market for long. Interested? Call today and take it for a spin! Contact Information: Auto Sales and Service - Arlington, 1860 N Arlington Avenue, Indianapolis, IN, 46218, Phone: (317) 308-2886, E-mail: sales@autosalesandserviceinc.com.